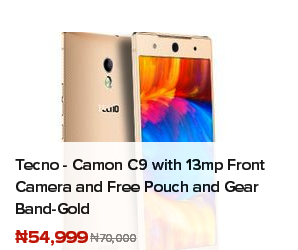 Tecno has released the long anticipated Tecno Camon C9 to succeed the highly patronized Tecno C8 which did not disappoint in its specs and features as you can see in this review. The Tecno C9 specifications has great features like the new iris scanner, aluminiun unibody, 13MP rear camera with LED flash at both ends and it comes with the unique HiOS running over the latest Android Marshmallow 6.0 and all these powered by a Octa (8) core processor. 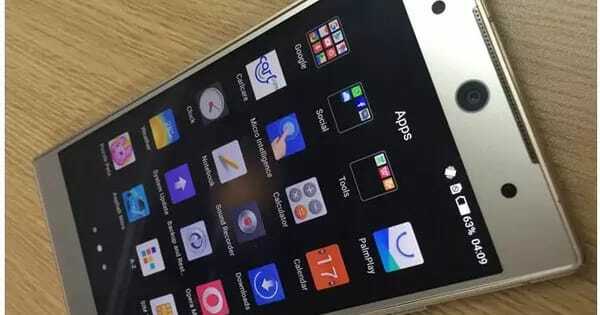 Other interesting features include a bright and crisp display of 1920 x 1080 pixels, RAM of 2 GB and internal storage of 16 GB with a 4G LTE network connectivity. The battery should have been higher but a 3000mAh is fair considering its size. The good news is that it is now available on Konga and it can be delivered to your home anywhere in Nigeria. Where to buy Tecno Camon C9?